We have recently updated the IRIS metrics on the Global Value Exchange! 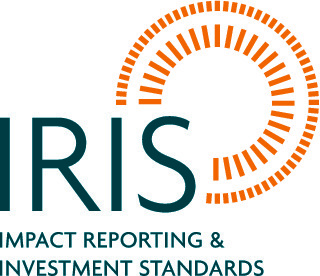 The teams of IRIS and the Global Value Exchange are united in their commitment to greater alignment of impact measurement indicators. Aligning different impact measurement approaches is key to advancing the use of social and environmental performance data for impact decision-making, and better alignment helps alleviate the reporting burden of social sector organizations. Common metrics help avoid confusion among stakeholders and can facilitate the benchmarking of data. As you may already know from this previous blog, the Global Value Exchange contains a selection of impact investing indicators reflecting metrics from the IRIS catalog. IRIS is a collection of generally accepted metrics which measure social, environment and financial performance of organisations. Although aimed primarily at the impact investing community, they may also be found useful by organisations in other sectors which want to measure and manage the social value they generate. In March 2016, the IRIS catalog was upgraded to version 4.0. The upgraded catalog expands upon the usage guidance that enables consistency in data collection, management, and reporting; it also features metric additions and improvements to measure the performance of investments in agriculture, education, financial services, forestry, housing, community development, and land conservation. Click here to learn more about the release of IRIS 4.0. To reflect this upgrade, all of the IRIS entries on the Global Value Exchange have been updated to version 4.0. New entries have also been added to capture the new metrics included in the IRIS 4.0 catalog. The total number IRIS-drawn indicators on GVE is now 350. You can find all of these entries here.